SAN FRANCISCO (KGO) -- 49ers quarterback Colin Kaepernick is defending his decision not to vote in the presidential election. The Sacramento Bee has reported Kaepernick has never voted in a presidential election, or even registered to vote. 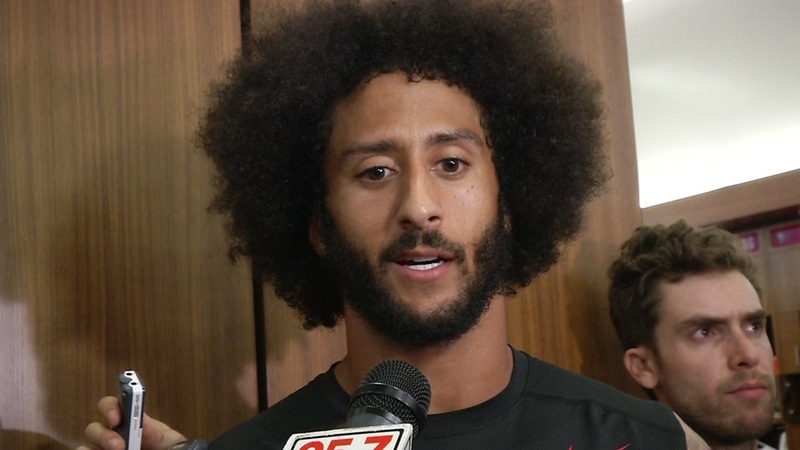 Kaepernick says he feels disconnected from the system. "I thought a lot of different things about the process and what I could and couldn't do. Once again, the system of oppression is what I have an issue with. There's more than one way to create change," he said. The 49ers quarterback has drawn criticism for refusing to stand during the national anthem to protest police brutality. Click here for full coverage on Colin Kaepernick's national anthem protest.